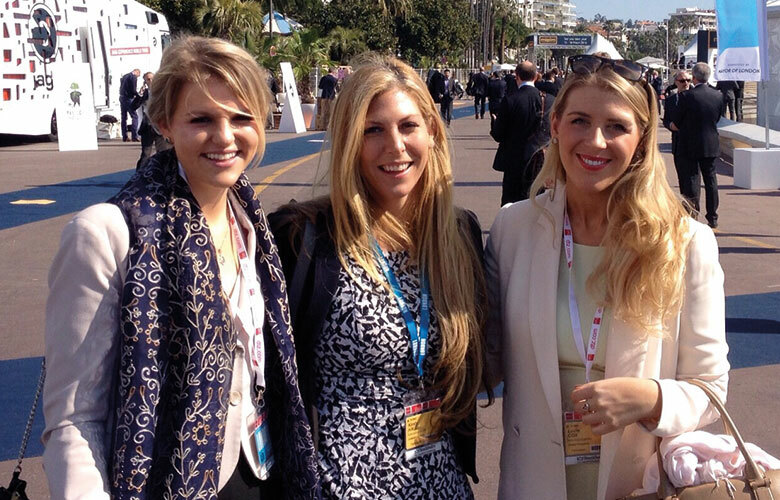 After months of anticipation and bated breath, KDH hit MIPIM 2015 with a bang. 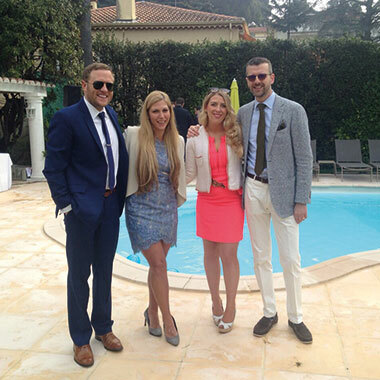 With suitcases bursting at the seams with business cards, blister plasters and Berocca we boldly took our seats on the British Airways flight southwards, away from dreary London skies and towards the sunny Cannes Riviera. Arriving at our villa on Monday early evening, we took things slow – initially. Keeping it traditional with a few glasses of Cote de Rhone, saucisson et fromage (vive le France? ), we whiled away the evening pondering over what the next few days would ensue. We fell into a deep slumber, dreaming of a heady mix of real estate and rose on the yacht bejewelled horizon. Throwing our curtains wide on Tuesday – the dappled sunlight now streaming into our bedrooms – we hastily got dressed and ready to roll. 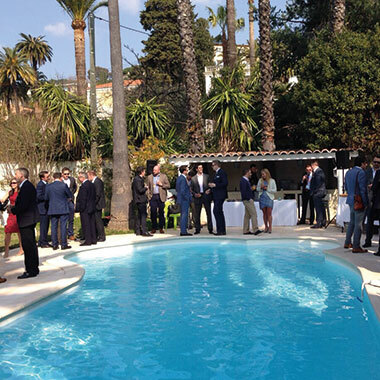 Pan Au Chocolates could come later; our heads were in the game and we were going to make the most of MIPIM’s first day of networking. We hit the road and entered the London stand, where, we were greeted by a plethora of professionals. Planners, surveyors, architects, developers, lawyers and house-builders were all there in healthy supply. We managed to catch Tony Pidgley’s speech about the future of London’s buildings which he delivered standing behind an incredible Pipers model of London. As he wrapped things up and 12pm dawned, the ripple of coffee’s and juices in hand hastily changed to beverages of a stronger constitution. 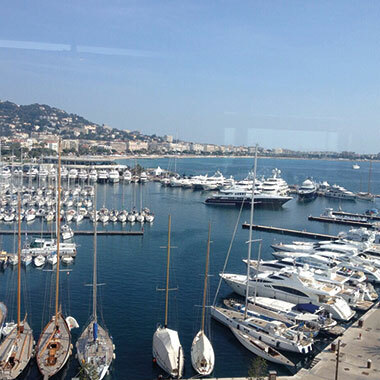 Mid-day, in Cannes? Wine time. We filled the rest of the afternoon with interesting conversation and made some brilliant contacts. Come 7pm, Lucie led us to Café Roma, which seemed to be practically bursting at the seams with property people. Whilst its name might sound unremarkable, this bar has a vacuum like quality where you lose all sense of time and space. Apparently – I hear on the grapevine -we didn’t leave until 3am. I remain defiant that my slippery grip on reality has nothing to do with the flaming Sambuca shots. It was onwards and upwards on day two. Heads might have been (a tad) sore, but if any girls know how to keep calm and carry on, it’s us. More brunching & lunching for Kirsty and Lucie and for me, a fantastic Boule match hosted by Weston Williamson and Partners. A perfect networking opportunity and a confirmation for me of my difficult relationship with every sport. Apologies to my team, who would have otherwise won. Shout-out to all the other teams, who didn’t come last. 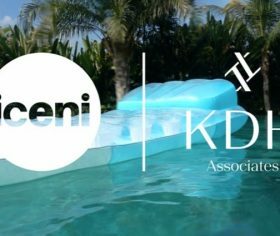 The week’s piece de resistance (if we do say so ourselves) was our Thursday morning brunch which we hosted with our fellow villa dwellers, Iceni Projects. 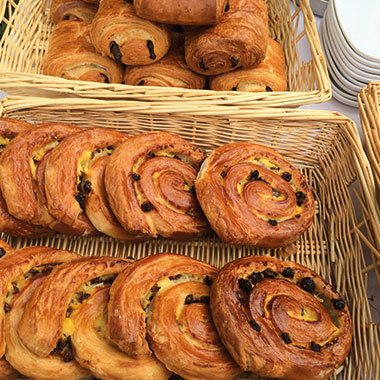 Glad rags, champagne and pool-side pastries at 9am: surely, how every day should start. Bloody Mary’s were on hand to nurse those hangovers and Tabasco was a-flowin’ for those (me) who needed that extra kick. We had a real range of attendees which kept the conversation lively. Thankfully, no one fell into the pool and after much preparation and discussion, all went as smoothly as our DJ’s chilled out tunes. Many thanks to everyone who came, it was a pleasure to see you there. Lucie and I were lucky enough to attend the Coutts party that evening, which was such a privilege. A massive thank-you to Barry Williamson for our invites (and for the incredible smoked salmon that we became all too familiar with). We spent Friday enjoying the company of new and already established clients. We had a lovely lunch with Savills and Exterior Architecture, all savouring our last bites of steak tartare and crème Brule. After, as we looked dreamily out to sea on a sun-drenched terrace, we contemplated the week, the successes and the great company we’d been surrounded by. With an air of melancholy, we also thought about the following week’s detox and the harsh reality of swapping red wine for Ryvita, Sauternes for celery and croissants for the cross-trainer. But, of course, it was all worth it. We had a fabulous, productive week and can’t wait for next year. Interview with Lorraine Hughes ..